Want to know more about flooding from agricultural run-off? Download this guide to find out where to get help, support and legal advice; and what you can do to help reduce the impacts of this type of flooding. Find advice on how to maintain your ditch in this guide! Inside is important advice on what you should do and how to consider wildlife and any legal aspects when clearing. 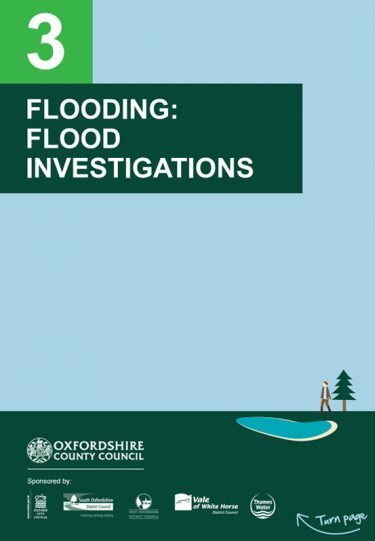 If you want to find out when and how Oxfordshire County Council carry out flood investigations, then download this guide. 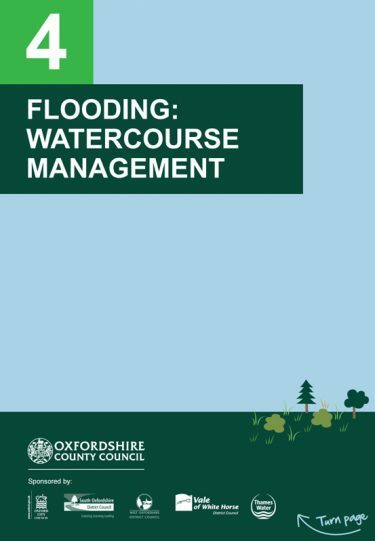 Watercourse maintenance plays a key role in flood risk management. Download this guide for help with developing a maintenance guide and advice on de-silting and consenting. 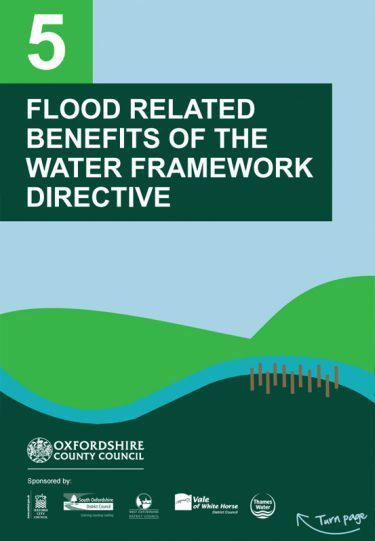 What is the Water Framework Directive and why is it important to flooding? Find out here! Find out what you need to know if you live near a reservoir and how owners keep you and your property safe from the threats of flooding. 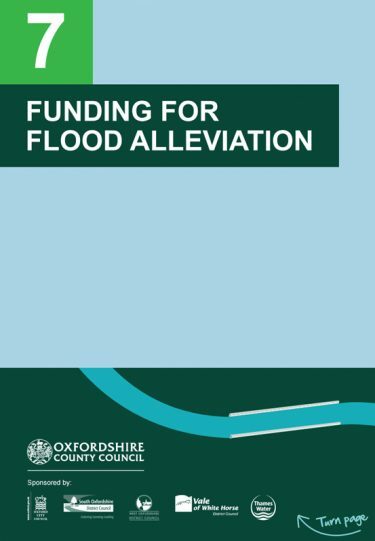 If there’s a flooding issue in your community find out how to generate funding to solve the problem! Or why not visit our Funding page and try out the Funding Tool? Where do the sewer company responsibilities stop and your responsibilities start? Find out in this guide. 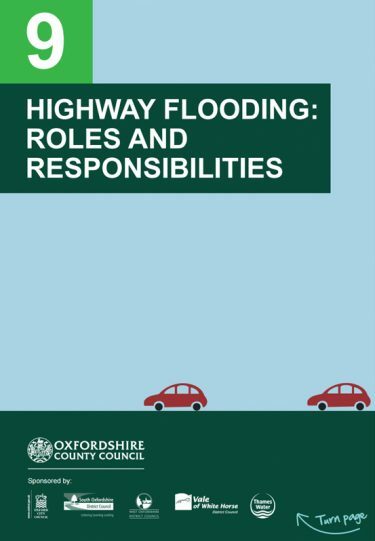 Experiencing flooding on the roads and want to know who’s responsible? This guide provides all you need to know to contact the right people. 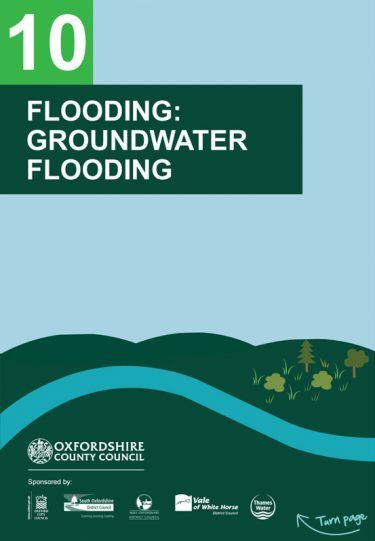 Groundwater flooding can be a tricky situation, but there are steps you can take to reduce the impact. Download and find out what these are! What to do in a flood emergency? Stay calm! The answers are in this guide. Don’t let the flood water impact on your lives anymore! Read on to find ways of protecting protect your home and valuables. No matter your location, you may be at risk of flooding and need insurance. Download to ensure you’ve taken the steps to get the right cover for you. If you’re at risk of flooding why not get professional advice on how best to solve it? If there’s a watercourse in or adjacent to your land then you have a responsibility! 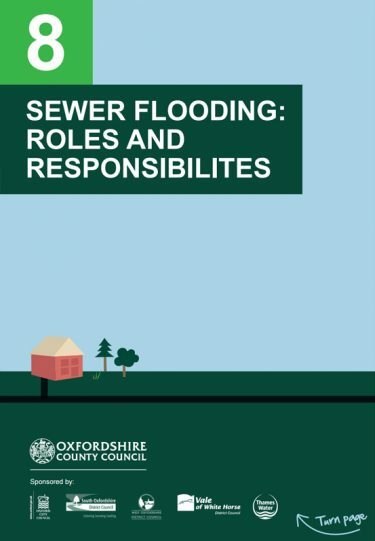 Download this guide to find out what your responsibility is and how to reduce your flood risk. Thinking of carrying out works on a bank or watercourse? You may need consent! Read this guide to find out before you start. 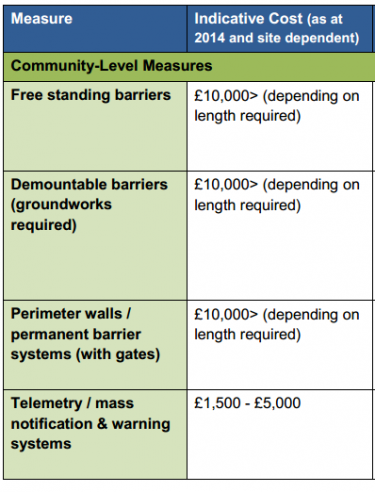 Hard engineered flood defences can be very costly. 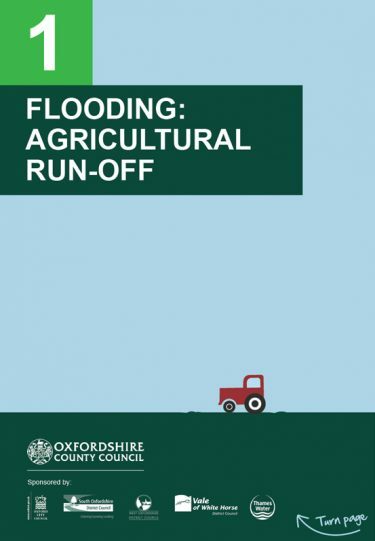 Why not consider using agricultural land in the floodplain to reduce flooding instead? 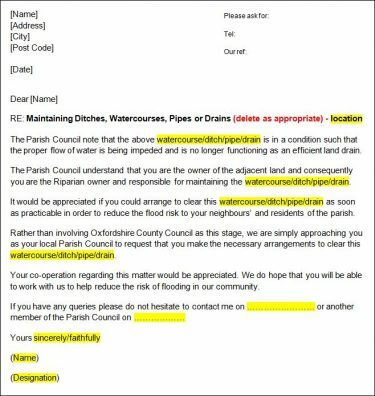 Oxfordshire County Council is required to investigate all “significant flooding incidents” and work with those responsible to help resolve them. Download to find out more about this process. 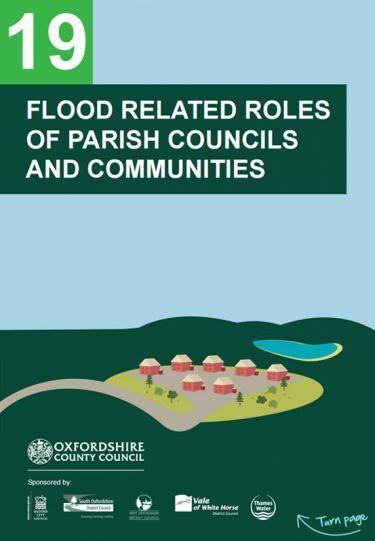 Did you know Parish Councils and local residents can play an important role in managing flood risk and can attract funding to carry out flood mitigation work? Download and see how to get involved. 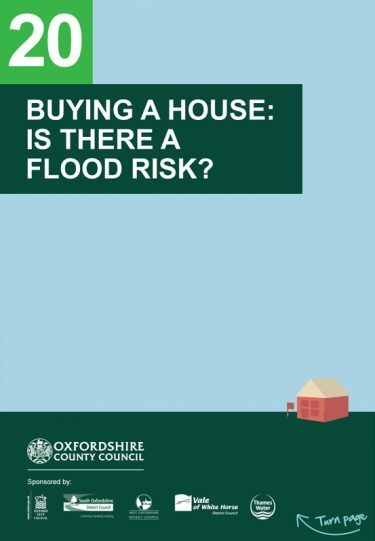 Flood Guide 20: Buying a House: Is there a Flood Risk? There are always a lot of important decisions to make when buying a house. 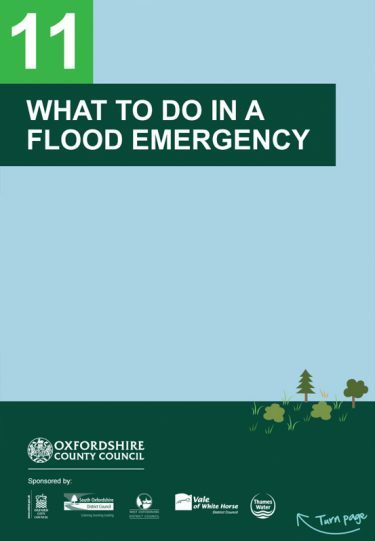 Download to help make flood risk an easier one. Would you like to be warned about flooding before it happens? Download to find out how. 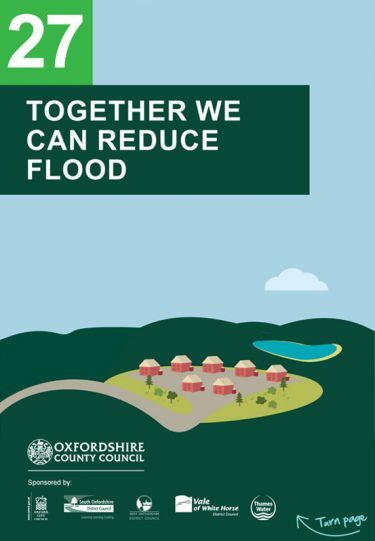 Find out what your community can do to help itself reduce flood risk now and in the future. As a developer you may be responsible for producing an emergency plan for your development. Download to find out what you need to do. 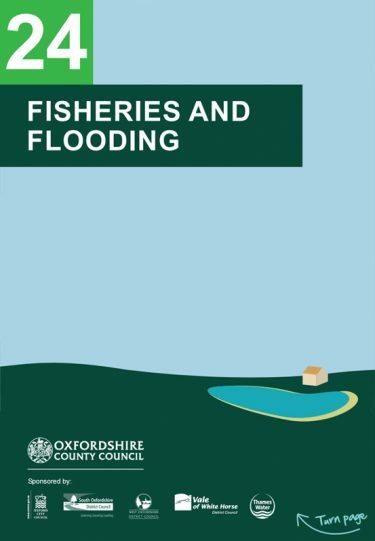 This guide provides useful facts and ideas to help keep fish in the river you love to fish in, whilst helping fisheries stay healthy. It could take your business up to 14 months to recover from flooding. 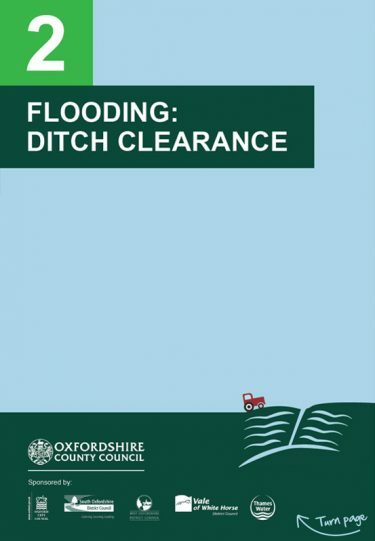 Download this guide to make sure you stay afloat after flooding. 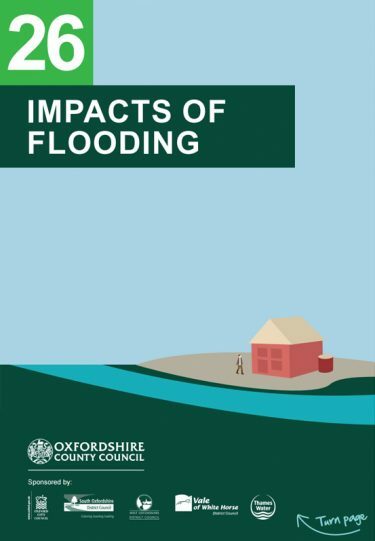 Learn more about the real impacts of flooding and how it can affect your property, health and the environment. 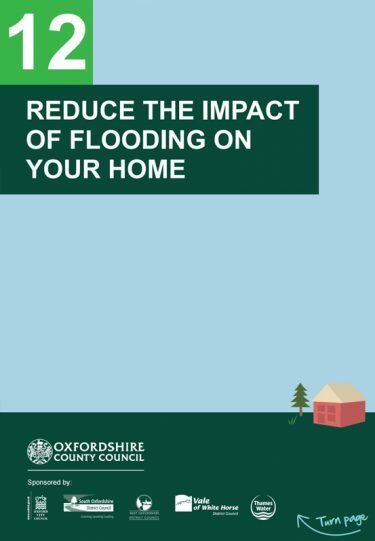 Discover how you, as a community, can help to reduce the risk of flooding in your area. 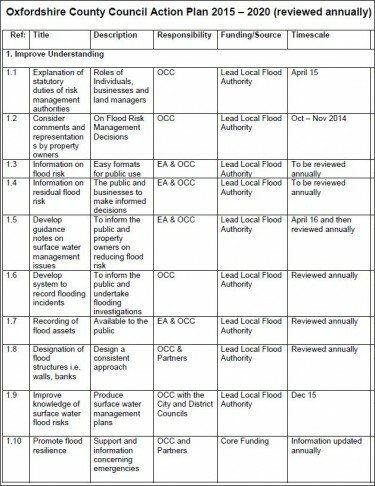 Find out more about the County Council's role as Lead Local Flood Authority in these statutory documents. 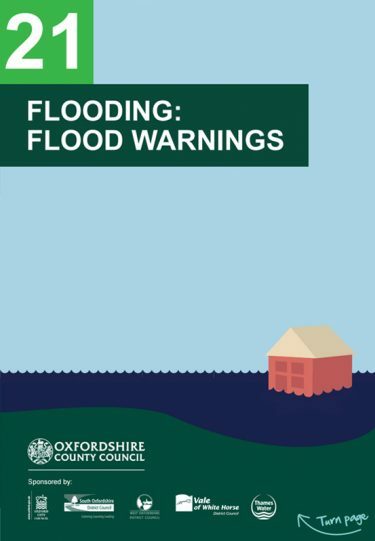 As Lead Local Flood Authority for Oxfordshire, the County Council needs to ‘develop, maintain, apply and monitor’ a Local Flood Risk Management Strategy. 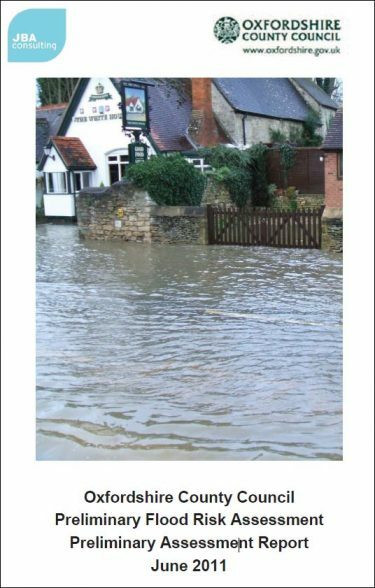 The strategy focuses on local flood risk resulting from surface water, groundwater and ordinary watercourses flooding. 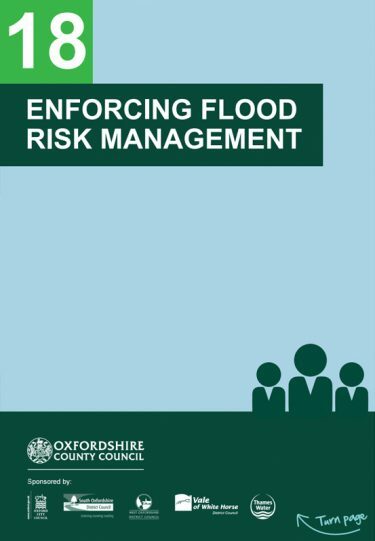 This strategy sets out how the Lead Local Flood Authority will manage flood risk in the future including lessons learnt from recent flooding events including 2014. 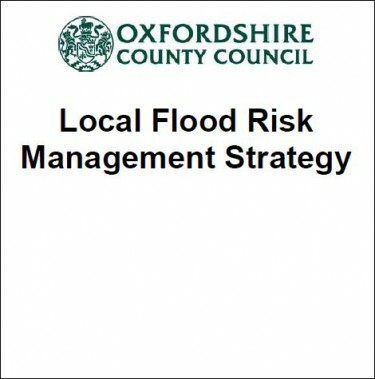 The Local Flood Risk Management Strategy (LFRMS) includes an Action Plan, which highlights the key objectives of the LFRMS and the associated actions required to achieve them. 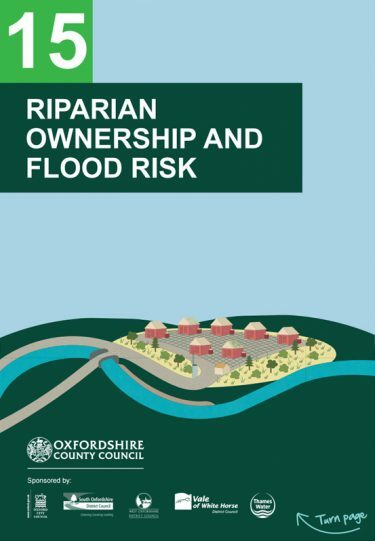 The action plan is reviewed annually and split into four themes; “Improve Understanding”, “Take a Collaborative Approach”, “Prevent an increase in Flood Risk” and “Take a Sustainable and Holistic Approach”. Details within include the key action, responsible organisation, funding source and timescales. 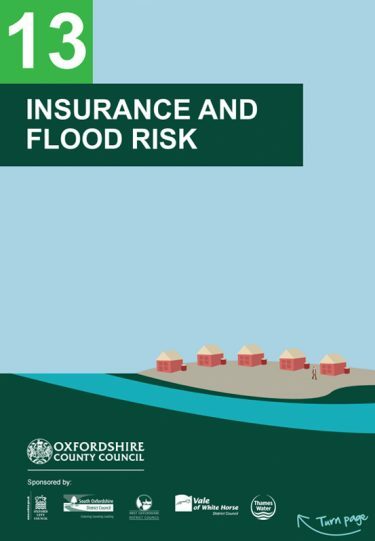 The Preliminary Flood Risk Assessment (PFRA) provides a high-level summary of significant flood risk, based on available information, describing both the probability and consequences of past and future flooding. 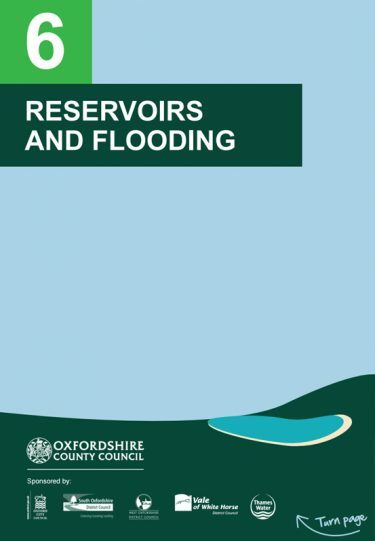 The report has assisted with the development of our local flood risk management strategy which has been developed to manage local flooding within Oxfordshire. 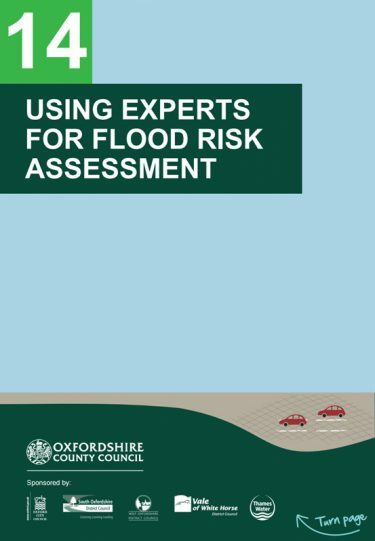 The scope of the PFRA is to consider flooding from surface runoff, ground water and ordinary watercourses and any interaction these sources have with main rivers. 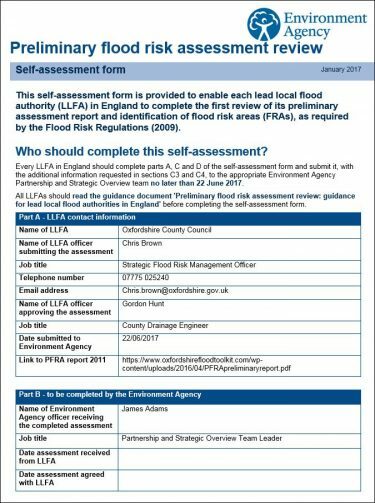 This self-assessment form is provided to enable each Lead Local Flood Authority (LLFA) in England to complete the first review of its PFRA and identification of flood risk areas (FRAs), as required by the Flood Risk Regulations (2009). 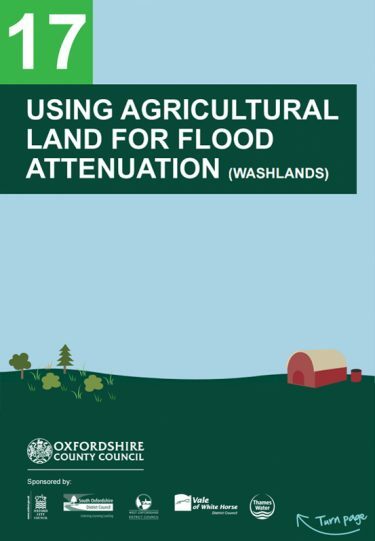 This document therefore provides a 2017 review of the original 2011 Oxfordshire PFRA Main Report. 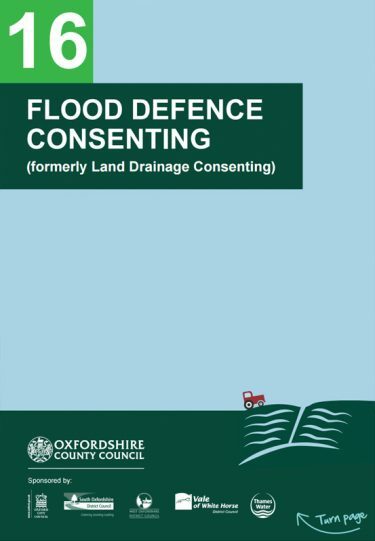 Explore our suite of useful guides to help you as a community or landowner become more flood resilient. 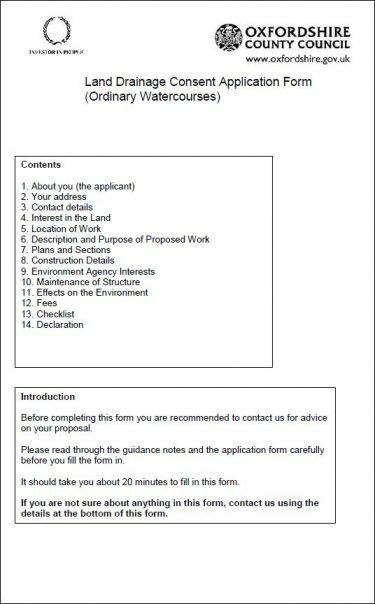 Fill in this Land Drainage Consent Application Form if you are planning to carry out works on an Ordinary Watercourse in Oxfordshire. 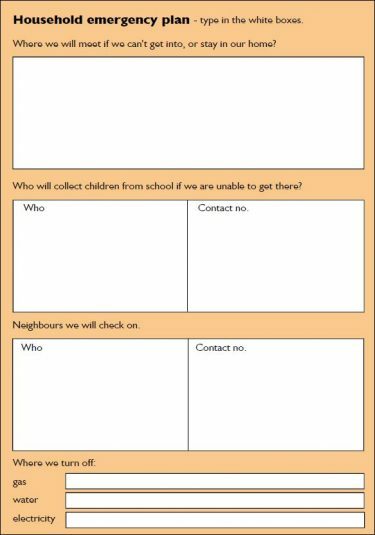 The aim of this booklet is to provide clear practical advice to help you prepare for and respond to an emergency, including flooding. A lot of the information is common sense, but it has saved lives in the past. This document provides guidance and useful information on how your community can produce an emergency plan. 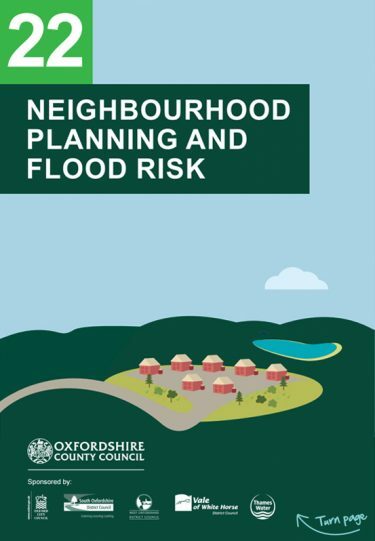 A Community Flood Plan Template created by the Oxfordshire County Council Emergency Planning Unit to be downloaded and completed to ensure your community is prepared for flooding. 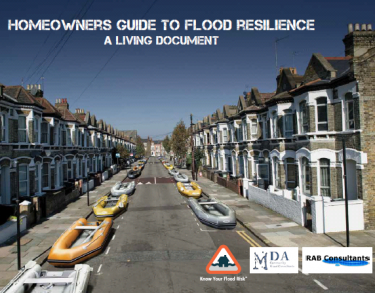 An all inclusive guide for homeowners looking to become more flood resilient. 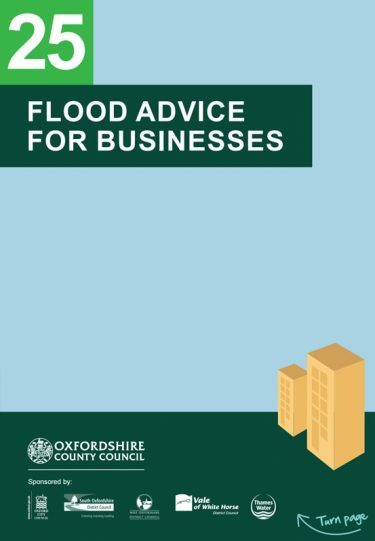 This includes important information on where to find help, a list of flood protection products with indicative costs and a directory of flood protection product manufacturers and suppliers. A template household emergency plan for you to complete to make sure you are prepared in a flooding emergency. 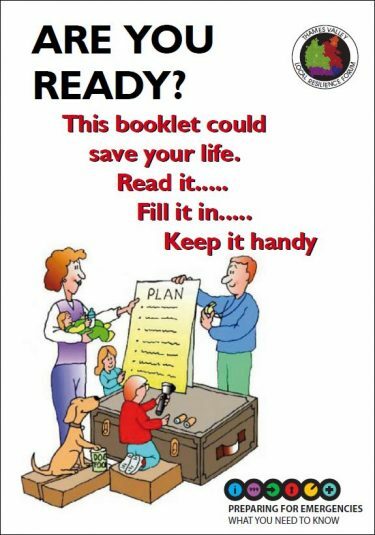 This plan also contains useful additional information, local radio station frequencies and emergency contact numbers. 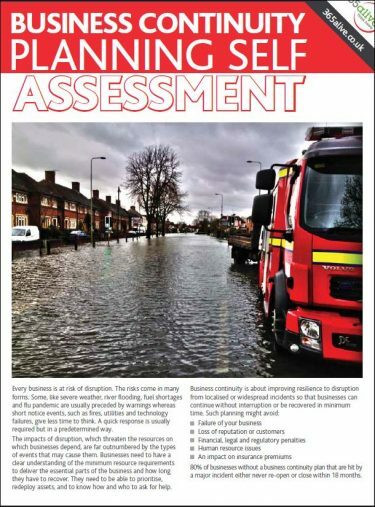 The aim of this assessment is to highlight issues you need to consider to help prepare for an emergency, such as flooding, that may disrupt your business. information found on the “Know Your Flood Risk” campaign website. It aims to clarify the variety of ways in which a community or a property can be protected or made more resilient, and sets out when it is appropriate to use them. 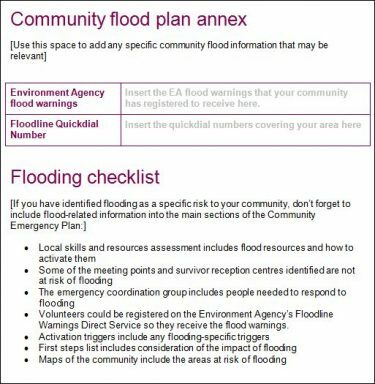 A community flood store can include equipment and tools that your community can access before, during and after heavy rainfall events which can cause flooding. 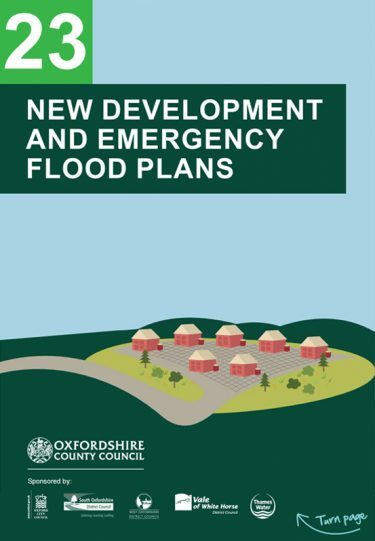 The contents could also help to mitigate and reduce the impacts of flooding, making communities more resilient. 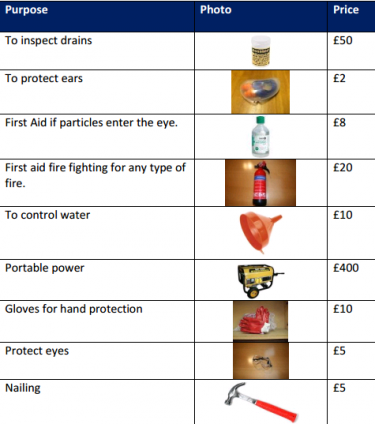 Northamptonshire County Council has compiled this list of equipment as a guide for your community, with estimated costs included. 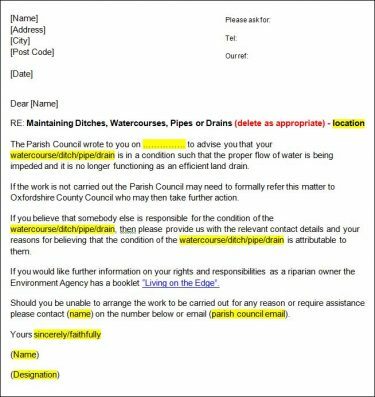 These letters provide a template for Parish and Town Councils to ask landowners to clear their ditches and watercourses in order to reduce the risk of flooding in the community.